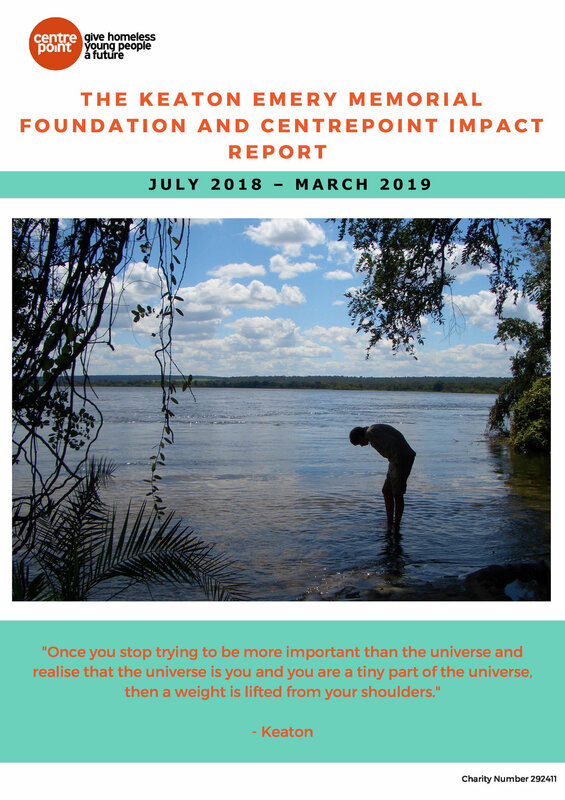 We are pleased to provide an update from Centrepoint as to the impact of our donation. Thank you all so much for your continuing support. Please go to https://mydonate.bt.com/events/keatonemeryfundraiser/464437 to sponsor us and help us to raise as much money as possible for our wonderful cause. 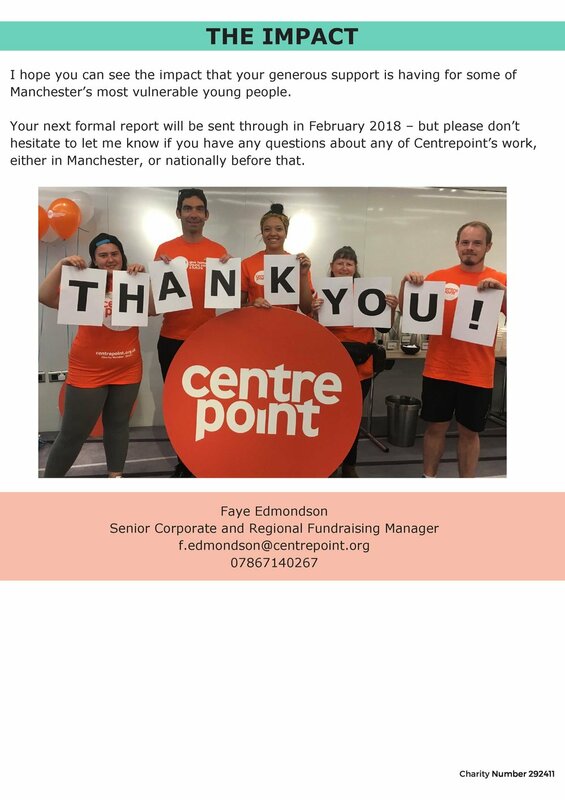 Further to our £85,000 donation to Centrepoint, we can now provide an update from Ben Bowden, Centrepoint's Regional Fundraising Manager. “I’m pleased to say that we’ve so far recruited one mental health advisor, one therapist, and one substance use worker to post, all of whom will be starting on the 16th July with us to begin operations. We have one mental health advisor yet to be appointed. With your donation from and some additional monies from the Co-operative Bank, we are fully funded for the mental health offer for a minimum of one year where we will look to seek commission funding to re-fund. Thank you so much for your continued support and donations. Your help is allowing us to make a real difference to people's lives. 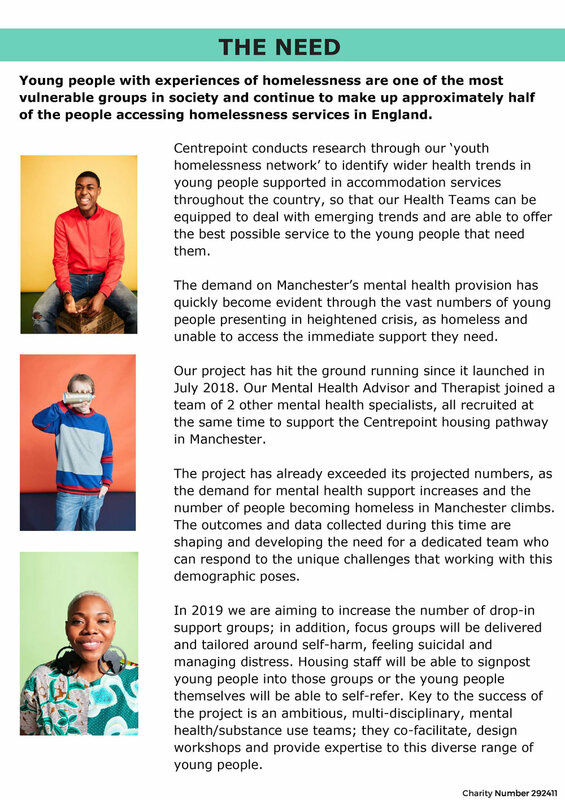 The Keaton Emery Memorial Foundation made a donation of £85,000 to Centrepoint to go towards the setting up of a mental health unit at their Oldham Street premises in Manchester. 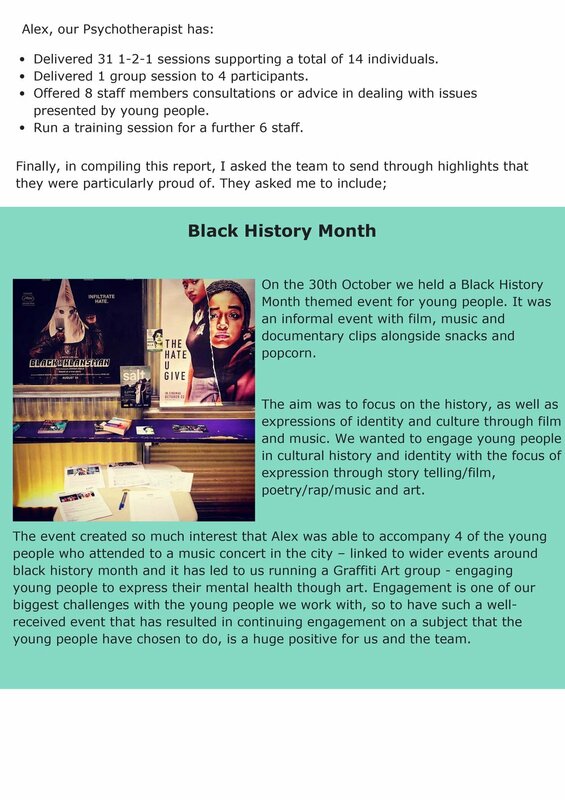 Centrepoint used the donation to match the fund, allowing them to offer two part time posts. The unit is set to be up and running shortly. Thank you to all those who have made donations to the Foundation, and for helping us make a positive difference to people's lives. A big thank you to Beech Hall Primary School for hosting a charity breakfast to raise money for KEMF on 4th May 2018. We raised £267.90! Thank you to all who attended and donated. Your support, as always, is greatly appreciated. Beech Hall Primary School, which Keaton attended as a child, are very kindly hosting a charity breakfast to raise money for the Keaton Emery Memorial Foundation. The event will be held at 8am on 4th May 2018 at Beech Hall Primary School, Macclesfield, SK10 2EG. If you are interested in attending, please visit https://www.facebook.com/events/904154263097416/ to find out more. Your support, as always, is very much appreciated. We have entered a team to run in the Macclesfield Half Marathon on Sunday 23rd September 2018 and are collecting sponsorships. We happily encourage anyone to join us and run to raise money for the Foundation. Feel free to join our team, if you dare! We are currently taking part in an online competition based on participants picking a Premiership team to win in each week of fixtures. If your team wins then you continue to the next week; lose or draw and you're out. This process continues until there is one eventual winner. With 25 participants, we have raised £175.00 for the Keaton Emery Memorial Foundation. We hope to continue to run this competition every year. If you want to keep track of who is still left standing, follow the link below!